We’d love your help. Let us know what’s wrong with this preview of La strada celeste by Xinran. To ask other readers questions about La strada celeste, please sign up. Is this really based on a true story? Orinoco Womble (tidy bag and all) I get the feeling that there is a nugget of truth in it, well filled out by the writer. She says she spent 2 days in the woman's company and then lost…moreI get the feeling that there is a nugget of truth in it, well filled out by the writer. She says she spent 2 days in the woman's company and then lost touch with her. You can learn a lot in 2 days if you pay attention and take notes or record or whatever. But we will never know the truth of "the truth" as we are told the woman vanished without a trace. This might be the first time I am happy about false advertisement. I expected a love story and received a little bit of everything instead. Before starting this book, I had assumed some points on the story. 1. I had no idea what Sky Burial was. I imagined it was the ceremonial burial of the dead in high mountains, closer to the sky. 2. As the subtitle stated, I expected epic love story with all the works: The first meet up, falling in love, hardships and so on. 3. Gauging the number of pages, I exp This might be the first time I am happy about false advertisement. I expected a love story and received a little bit of everything instead. 3. Gauging the number of pages, I expected the story to cover a short period of time. There is a reason I've never won a lottery. Set in the backdrop of 1956-58 Tibetan resistance movement and the later years, Sky burial tells the true story of Shu Wen, a Chinese woman who travels to Tibet to find her husband, who was a medic in one of the regiments sent for unification of Tibet with China. The Army had officially declared him KIA, but they failed to provide any further detail other than his demise to his widow. Wen petitions the army to take her with them on next trip to Tibet, and army accepts as Wen was also a trained medic. Everything happened to Wen after entering Tibet was out of her control. Sky burial is dubbed as a non-fiction story about love and survival. But in reality, the book is about a life in parts: Some parts were spent looking for lost ones, some were spent with a nomadic family, living one day at a time, some were spent discovering politics between China and Tibet, some discovering Tibetan history, mythology and vast beautiful landscape. But an epic love story? Increasingly, she was coming to understand that the whole of Tibet was one great monastery. Everyone was infused with the same religious spirit, whether they wore religious robes or not. I loved the parts exploring Tibet's traditions & locations as well as the descriptions of religious rituals and arts. But the story doesn't focus on one thing, but many. It's a travelogue, a diary, a survivalist tale all in one. The language used to tell this epic tale is far from epic (Read: flat). I don't know if it is because of the translation or not, nevertheless, the beauty of Tibet was lost in translation. This book was written by Chinese writer Xinran and was translated from the Chinese by Lovell and Tyldesley. It is positioned as non-fiction but I can hardly believe that's possible. It is such an amazing story that it reads like fiction, very good fiction. It is the story of Shu Wen, a young, newly married Chinese girl who, in 1958, see's her soldier husband of 4 months go off to Tibet to fight for it's unification with China. Shortly thereafter she is notified that he has been killed but with n This book was written by Chinese writer Xinran and was translated from the Chinese by Lovell and Tyldesley. It is positioned as non-fiction but I can hardly believe that's possible. It is such an amazing story that it reads like fiction, very good fiction. It is the story of Shu Wen, a young, newly married Chinese girl who, in 1958, see's her soldier husband of 4 months go off to Tibet to fight for it's unification with China. Shortly thereafter she is notified that he has been killed but with no details of how. Shu Wen decides she will go to Tibet to search for her husband who she believes is still alive or at least find out how he died. The rest of the story, her 30 years spent in Tibet, is a remarkable story of love, character, religion, culture and family. It certainly falls into the category of "one of the best books you've never heard of". This was a beautiful story. I picked up this book at the library because I was looking for an author whose name began with X to finish my A-Z author challenge, and this was a slim book. I found that I could not put it down. It was a beautifully written love story which was heartwrenching and joyous at times. 'An Epic Love Story of Tibet' seems an inaccurate subtitle for this book. Rather, a 'Short Travelogue through Tibet and Qinghai and Interesting Discussion about Local Nomadic Customs with Brief Digressions to a Tragic Love Story'. Let me be fair. I enjoyed the stories of Tibetan life and the love story was short and tragic, but somehow the translation made it fall flat. Then again, Mandarin is tough to translate. Guess I'll need to find the original, then. Xinran was a journalist who had a radio program about the lives of Chinese women. In 1994 she received a call from a listener asking her to interview a woman with a fascinating story. She spoke with Shu Wen for two days, but was never able to contact her again. The copyright page calls Sky Burial: An Epic Love Story of Tibet a book of fiction, but Xinran indicates in the preface that the novel was based on her conversations with this old Chinese woman. Shu Wen spent over thirty years in Tibet, h Xinran was a journalist who had a radio program about the lives of Chinese women. In 1994 she received a call from a listener asking her to interview a woman with a fascinating story. She spoke with Shu Wen for two days, but was never able to contact her again. The copyright page calls Sky Burial: An Epic Love Story of Tibet a book of fiction, but Xinran indicates in the preface that the novel was based on her conversations with this old Chinese woman. Shu Wen spent over thirty years in Tibet, hoping to locate the man she loved. Newlyweds Shu Wen and her husband were both Chinese doctors. Her husband was sent to Tibet with the People's Liberation Army during the unification period after the Chinese invasion. In 1958 Shu Wen received a death notice without any other information about her husband's cause of death. To find out if he might still be alive, she also joined the PLA and traveled into Tibet. During the trip Shu Wen saved the life of a Tibetan woman who also spoke Chinese. When the two women were separated from the soldiers they were taken in by a Tibetan nomad family. The nomads traveled to the safer regions of the country to avoid the clashes between the Chinese army and Tibetan guerrillas. Shu Wen was exposed to the Tibetan lifestyle, language, traditions, and spirituality. She eventually found out why her husband disappeared. This was a beautifully written story that transported the reader to the isolated areas of Tibet. Buddhist spirituality is a part of daily life in Tibet. The title "Sky Burial" refers to a tradition where vultures feed upon a corpse in a religious ceremony--the body returns to nature and the spirit is sent on its way. Life and death are part of the process of reincarnation. Not all burials are treated in this way. Sudah lama sepertinya aku tak menemukan buku yang mampu membuatku tak berhenti membacanya, membuatku tak mampu untuk tak tenggelam dalam kalimat-kalimatnya, membuatku tak mampu untuk tak begadang demi melahapnya kata demi kata. Pertemuanku dengan buku ini berawal dari kunjunganku ke rumah seorang teman. Bermulanya, ketika aku mengungkapkan rencanaku untuk membuat baca bareng di Goodreads Indonesia dengan tema buku perempuan. Temanku itu dengan semangat memperlihatkan padaku sebuah buku kecil deng Sudah lama sepertinya aku tak menemukan buku yang mampu membuatku tak berhenti membacanya, membuatku tak mampu untuk tak tenggelam dalam kalimat-kalimatnya, membuatku tak mampu untuk tak begadang demi melahapnya kata demi kata. Pertemuanku dengan buku ini berawal dari kunjunganku ke rumah seorang teman. Bermulanya, ketika aku mengungkapkan rencanaku untuk membuat baca bareng di Goodreads Indonesia dengan tema buku perempuan. Temanku itu dengan semangat memperlihatkan padaku sebuah buku kecil dengan sampul bergambar gunung-gunung batu, ada sesosok perempuan berdiri di sana mengenakan pakaian adat Tibet. Sampul itu saja sudah membuatku tertarik. Namun yang paling membuatku makin semangat adalah judulnya: Sky Burial – Pemakaman Langit. Yang aku ketahui tentang pemakaman langit adalah suatu tradisi bangsa Tibet yang menyayat-nyayat jasad untuk ditaruh di puncak gunung agar dimakan oleh burung pemakan bangkai, lantaran letak Tibet yang tidak memungkinkan rakyatnya memiliki pemakaman tanah, maka pemakaman langit ini dianggap lebih mudah dilakukan. Buku ini diawali oleh penuturan sang penulis Xinran, bahwa ketika berusia lima tahun, ia mendengar sepintas obrolan mengenai orang-orang Tibet yang memotong tubuh seorang prajurit Cina hanya karena prajurit itu menembak seekor burung pemakan bangkai. Penggalan obrolan itu terpatri dalam benaknya dan berusaha memahaminya sampai akhirnya malah terlupakan. Namun pada tahun 1994, ketika Xinran bekerja sebagai wartawan di Nanjing dan sedang memandu siaran radio, salah satu pendengarnya menelepon dari Suzhou untuk memberitahu bahwa ia baru saja bertemu wanita aneh di jalan yang baru saja pulang dari Tibet. Tergelitik rasa penasaran Xinran akhirnya menempuh perjalanan ke Suzhou guna mencari wanita yang dimaksud. Wanita itu bernama Shu Wen. Ia adalah orang asli Suzhou. Namun walau fisiknya mirip wanita Cina, penampilannya lebih mirip wanita Tibet. Ada sesuatu di diri Shu Wen yang membuat Xinran ingin menggalinya lebih dalam. Maka dimulailah obrolan yang akhirnya membuahkan buku ini. Shu Wen menceritakan kisah kehidupannya pada Xinran, dan apa yang menyebabkannya pergi ke tanah Tibet ketika pergolakan sedang terjadi antara Cina-Tibet. Tahun 1958, Shu Wen menikah dengan teman satu universitas kedokteran dengannya, Kejun. Namun dengan usia pernikahan mereka yang masih begitu singkat, mereka harus rela berpisah ketika Kejun ditugaskan menjadi dokter untuk Tentara Pembela Rakyat di Tibet. Tak berselang lama, Shu Wen mendapat kabar bahwa suaminya tewas di medan juang. Namun jasad suaminya tak pernah kembali, tak ada seorang pun pula yang dapat menjelaskan apa yang menimpa suaminya hingga bisa kehilangan nyawa. Dengan perasaan tercabik-cabik, Shu Wen bertekad untuk pergi ke tanah Tibet demi mencari kabar mengenai kematian suaminya. Dengan bekal pendidikannya sebagai dokter, Shu Wen menjadi tenaga medis tambahan bagi Tentara Pembela Rakyat di Tibet. Namun perjuangan menuju tanah Tibet dipenuhi banyak sekali rintangan. Selain letak geografisnya yang memang sulit ditembus, pergolakan antarnegara menimbulkan kengerian yang mencekam. Setiap perjalanan, dua prajurit ditemukan tewas dengan belati tertancap di dada mereka. Para rakyat Tibet yang menentang ide-ide Cina untuk merevolusikan tanah mereka menganggap bangsa Cina sebagai monster-monster mengerikan yang ingin menodai tanah suci mereka, oleh karena itu mereka memberontak, melawan para tentara dengan membunuh mereka ketika lengah. Di tengah-tengah perjalanan itu, konvoi truk yang membawa serta Shu Wen menemukan seorang gadis belia yang ternyata orang Tibet yang terkapar di tanah. Rombongan Shu Wen menolong gadis itu dan mengajak serta dirinya dalam perjalanan. Dan yang membuat mereka semua terperanjat, ternyata gadis itu fasih berbahasa Cina. Nama gadis itu Zhuoma. Ia adalah gadis bangsawan Tibet, semenjak kecil ia sudah jatuh cinta dengan budaya Cina dan pernah belajar di Beijing. Perseteruan Cina-Tibet tak meloloskan Zhuoma dari takdir kehilangan segala apa yang ia miliki, termasuk keluarganya. Dengan hanya ditemani seorang budak yang ia beri nama Tiananmen, Zhuoma memupuk harapannya untuk menapaki kembali tanah Beijing. Namun nasib berkata lain, di tengah badai yang menerjang, Tiananmen beserta bawaan mereka menghilang. Zhuoma pun tersisa sendirian, tak berbekal apa-apa ia pun melanjutkan berjalan sampai mulai kelelahan dan akhirnya terkapar. Singkatnya, setelah terpisah dengan rombongan tentara, Shu Wen dan Zhuoma tinggal dengan bangsa nomadik. Dari merekalah, Shu Wen belajar kebudayaan Tibet. Dengan keterbatasan komunikasi lantaran Shu Wen tak mahir berbahasa Tibet, Shu Wen beradaptasi dengan kehidupannya di Tibet. Terisolasi dari dunia luar, hanya dikelilingi oleh gunung-gunung yang menjulang, hidup berpindah tempat hingga bertahun-tahun, tekadnya untuk mencari Kejun tak pernah memudar, malah semakin kuat. Lebih dari tiga puluh tahun Shu Wen berjuang demi Kejun, dan lambat laun perjuangannya membuahkan hasil. Ini bukan kisah dengan akhir bahagia. Perang di mana pun tempat terjadinya, tak pernah membawa kebahagiaan kecuali bagi penguasa yang memenangkan peperangan itu sendiri. Begitu banyak korban berjatuhan, begitu banyak kerugian, begitu banyak kesedihan, tapi perang seakan tak pernah menyadari apa yang sudah diakibatkan olehnya. This is an understated, compact book. I still find myself thinking about some of the imagery within, and until now I hadn't heard of a sky burial. I tried to read this book at face value, but found myself at the end wondering if there was a second, not-so-well-hidden agenda that sounded something like 'see, the Chinese and the Tibetans are friends.' The Dali Lhama was portrayed as a thief who had fled the country with an immense treasure. The Tibetan resistance was portrayed as savage, heartless This is an understated, compact book. I still find myself thinking about some of the imagery within, and until now I hadn't heard of a sky burial. I tried to read this book at face value, but found myself at the end wondering if there was a second, not-so-well-hidden agenda that sounded something like 'see, the Chinese and the Tibetans are friends.' The Dali Lhama was portrayed as a thief who had fled the country with an immense treasure. The Tibetan resistance was portrayed as savage, heartless, ignorant and brutal, while the Chinese were shown to be educated, kind-hearted, benevolent and ready to play Big Brother to the helpless, Lhama-free, Tibetans. To the author's credit, the timeless beauty of the high plateau is contrasted with the constant construction/deconstruction of Beijing, and its easy to see which one is aces and which one isn't. I can tell the author wants this to be a tale of cultural understanding and racial harmony... but what I hear is how wonderful it is to be Chinese, and what a favor the Chinese are doing by bringing the Tibetans into the 21st Century... whether the Tibetans want to come or not. The love stories are the sugary frosting on a stale, bitter cake, and despite my appreciation for the education on Tibetan culture this book provided me, the political undercurrent turns me off. Minh không thich đoc chuyên ngươi TQ noi vê Tây Tang. Minh cung chăng la gi tâp tuc Thiên Tang cua ho. Đo la li do tai sao khi găp quyên Thiên tang ơ hiêu sach cu, vơi cai đê tưa kiêu 'a, đoc tui đi ban se hiêu hiêu chut chut vê tuc thiên tang, vê môi tinh trương ki cua cô nư chinh' minh đa bo no lai. (sau nay mơi biêt no hiêm cơ nao). Tây Tang vơi minh la môt chôn siêu siêu hâp dân. Dâu cho tuôi tre cua minh ngâp ngua văn hoc Nhât, sên sua kiêu Phap hay hai hai, buôn buôn kiêu Đưc thi minh vân m Mình không thích đọc chuyện người TQ nói về Tây Tạng. Mình cũng chẳng lạ gì tập tục Thiên Táng của họ. Đó là lí do tại sao khi gặp quyển Thiên táng ở hiệu sách cũ, với cái đề tựa kiểu 'à, đọc tui đi bạn sẽ hiểu hiểu chút chút về tục thiên táng, về mối tình trường kì của cô nữ chính' mình đã bỏ nó lại. (sau này mới biết nó hiếm cỡ nào). Tây Tạng với mình là một chốn siêu siêu hấp dẫn. Dẫu cho tuổi trẻ của mình ngập ngụa văn học Nhật, sến súa kiểu Pháp hay hài hài, buồn buồn kiểu Đức thì mình vẫn mong được chết ở Tây Tạng nhất. Cuốn sách tâm linh gối đầu giường của mình là Tạng thư sống chết kia mà. Rồi Tây Tạng, giọt hoa trong nắng nữa, Mùi hương trầm nữa. Hầy, thật là một đất nước quyến rũ với mình. Nó quyến rũ bởi cái vẻ huyền bí mà người TQ có dành cả đời cũng không thể vùi lấp được. Và hơn hết, đứa con trai nào lại chẳng bị lôi xềnh xệt bởi hằng hà sa số những điều chẳng tỏ. Haha. In 1994 Xinran, a Chinese journalist who later moved to London, met a woman whose story captured her imagination. Shu Wen received word that her husband, Kejun, had died just months into their marriage. A doctor in the People’s Liberation Army, he’d been sent into Tibet in the 1960s after its ‘liberation’. With no details or body to confirm his demise, though, Wen refused to believe Kejun was gone, and traveled to Tibet to find him. She stayed there for over 30 years – more than half her life – In 1994 Xinran, a Chinese journalist who later moved to London, met a woman whose story captured her imagination. Shu Wen received word that her husband, Kejun, had died just months into their marriage. A doctor in the People’s Liberation Army, he’d been sent into Tibet in the 1960s after its ‘liberation’. With no details or body to confirm his demise, though, Wen refused to believe Kejun was gone, and traveled to Tibet to find him. She stayed there for over 30 years – more than half her life – living with a Tibetan family and adjusting to their culture and rituals as she sought word of her husband. The gender roles surprised her: men did the sewing and women had multiple husbands. It was a land of lamas and temples; “the whole of Tibet was one great monastery,” she felt. Wen does eventually learn the truth of what happened to her husband (whew! ), and after decades of living as a superstitious Buddhist in primitive conditions has to readjust to life in a new China, having completely missed the Cultural Revolution. She clings to words of wisdom from a military official: “Whatever happens, remember one thing: just staying alive is a victory” and “Writing can be a source of strength.” He then gave her a diary that she filled with letters to Kejun over the years. Sky Burial was a really good book. I honestly wouldn't have read it on my own until I had a task for a couple of different challenges. I went into this book with no expectations because honestly with a title like this.. I was bound to assume all sort of wrong things. This is a story about Shu Wen. a young newlywed who watches her husband of four long months head off to war. Shortly after that, he's killed and she get's a letter with little to none information about how or why it happened. So she Sky Burial was a really good book. I honestly wouldn't have read it on my own until I had a task for a couple of different challenges. I went into this book with no expectations because honestly with a title like this.. I was bound to assume all sort of wrong things. This is a story about Shu Wen. a young newlywed who watches her husband of four long months head off to war. Shortly after that, he's killed and she get's a letter with little to none information about how or why it happened. So she does what any heartbreaking widow would do - she leaves for Tibet to find her justice. She still believes he is actually alive and will leave no stone unturned until she finds out the truth. Sky Burial,/I> was a beautiful story. It was interesting to see how her years of searching, which is about 30 years, went. The journey she went on and what she was just breathtaking. I ended up loving Shu Wen pretty early on because she had so much faith that her husband was alive. That faith brought her to some foreign place where she wouldn't give up looking for him. Now even though I ended up loving this story I will admit it did have it's boring parts. Mostly because this book is read more like a diary than anything else.. and I'm kind of iffy about those. However, it's my own fault that I didn't do any research or prepare myself for this type of book or writing style. Overall, I loved Shu Wen so much that this book definitely deserves four freaking fantastic stars. I'm happy I got to read a new author and that I'm getting one step closer to finish my alphabet author challenge. A beautiful story, beautifully written, and beautifully translated. Rasanya membaca buku ini membawa kita ke alam pegunungan Tibet, serta ikut merasakan kedinginan, kepanasan, dan berbagai musim di sana. Ketika lembaran terakhir buku ini ditutup, cuma bisa menarik nafas dan mikir: "Kok bisa sih dia nulis cerita sebagus ini?" jadi pengen baca versi english nya, mungkinkah ceritanya akan lebih bagus? Tapi penerjemahannya sangat indah kok, sama sekali tidak mengecewakan. Anyway, kisah ini dimulai de A beautiful story, beautifully written, and beautifully translated. Rasanya membaca buku ini membawa kita ke alam pegunungan Tibet, serta ikut merasakan kedinginan, kepanasan, dan berbagai musim di sana. Anyway, kisah ini dimulai dengan keinginan yang kuat dari Shu Wen untuk mencari suaminya yang baru beberapa minggu menikah dengannya. Kejun, sang suami yang berprofesi sebagai dokter, dikirim ke Tibet untuk membantu tentara pembebasan rakyat yang sedang bertempur. Sebagai warga yang baik tentu saja Kejun menerima penugasan itu. Tapi kemudian Wen menerima kabar bahwa suaminya meninggal, dan tak ada informasi lain mengenai kematiannya, penyebabnya, dan dimana jasadnya. Wen pun bertekad mencari suaminya ke Tibet. Dengan profesinya sebagai dokter, mudah baginya untuk bisa pergi ke sana dengan pertimbangan keahliannya bisa membantu tentara yang terkena penyakit ketinggian. Tapi ketika sampai di Tibet, Wen justru terpisah dari kesatuannya, dan berkelana dengan teman barunya. Di sini sempet mikir, kok bisa kesatuannya nggak nyariin dia? Secara dia kan perempuan, masa dibiarkan aja berkeliaran tanpa pengawalan? Apa separah itu keadaan di sana, sehingga menghilang sedikit dianggap mati dan tak perlu dicari? Anyway, 'petualangan' Wen dalam mencari kekasih sejatinya tidak terhenti setahun-dua tahun, namun berlanjut hingga puluhan tahun. Karena tak mengerti bahasa lokal dan tak mengerti juga daerah yang dilaluinya, Wen jadi harus hidup selama bertahun-tahun dengan sebuah keluarga Nomadik. Di sini diceritakan bagaimana keluarga tersebut hidup tanpa bantuan dari tetangga (secara nomaden gt loh, mana sempet punya tetangga), gimana mereka menjalani praktek poliandri (Ha! ada juga ternyata kan perempuan yang punya suami banyak? ), dan kehidupan religius mereka. Survey yang dilakukan penulis sepertinya sangat mendalam mengenai orang Tibet, sehingga tanpa terasa sudah separo halaman lebih dan Kejun belum ketemu namun bacaan masih terasa asik. Akhirnya misteri kematian Kejun pun terjawab di bab-bab terakhir, dan sumpe deeh terharu banget bacanyaaa. Wen harus cukup puas melampiaskan kerinduan pada sang suami lewat diary Kejun. Dan mengetahui kisah akhirnya dari seorang pertapa tua. Disini baru dijelasin dengan detil tuh apa sih maksudnya pemakaman langit? Yang ternyata memang pemakaman tanpa dikubur yang melibatkan adegan sadis dari burung-burung pemakan bangkai. Yang sempat bikin penasaran sebenernya justru kisah Zhuoma dan Tiananmen. Sepanjang akhir cerita setelah mereka bertemu Tiananmen, sebenernya ngarep kalo mereka akan nekad melanggar aturan dan kawin lari or something. Tapi ternyata mereka benar-benar religius dan tidak ada dalam benak mereka untuk melakukan hal yang dilarang agama. Luar biasa! 1. Kagum dengan kekuatan Cinta dan kekuatan tekad Shu Wen. Menghabiskan waktu selama lk. 30 tahun dengan penuh pengorbanan untuk mencari orang terkasih. Sampai akhirnya dia dapat merasakan semangat spiritual rakyat Tibet, dan menjadi penganut Budha yang senantiasa mendesahkan OM MANI PADME HUM. 2. Kagum dengan keluarga nomaden di Tibet yang sangat sederhana dan membantu sepenuh hati orang yang tidak dikenal,memperlakukan seperti keluarga selama bertahun-tahun bahkan mengorbankan kepentingan keluarga dan berpisah dengan anggota keluarga dalam waktu yang lama untuk membantu orang lain. Apakah sekarang masih ada yang demikian ?? tepatnya, mampukah kah aku berbuat yang demikian ? 3.Kagum, tenyata perlakuan terhadap orang yang meninggal ada yang berbeda selain yang kita kenal selama ini, jadi lengkap sudah penguburan itu : ada yang di darat (bumi), di laut dan di udara(langit)..luarbiasa..
4.Kagum dan heran ternyata ada juga penganut poliandri di Tibet. Seorang perempuan bisa menikah dengan lebih dari satu orang, di sini bahkan menikah dengan dua pria bersaudara (adik-kakak) satu rumah pula dan hidup dengan damai....hm..jadi inget Drupadi..
5.Ternyata bau badan setiap orang, bangsa atau ras berbeda-beda, seperti di sini digambarkan orang Tibet : baunya menyengat, campuran susu basi, kulit usang dan pupuk hewan. Kita juga biasanya tau bau orang Cina......, bau orang barat....... bagaimana dengan bau anda ?? Cuối năm rồi mà trình độ đọc "tăng" lên rõ rệt, vớ phải mấy cuốn ưng ý quá chừng cứ nhai đi gặm lại đến độ nhờn mặt mấy tác giả luôn. Giá mà được nói chuyện với tác giả để hỏi cho biết cái dụng ý của họ có thực như cái mình phân tích và cảm nhận được không chớ cứ như cái hồi đi học phổ thông ngồi phân tích tác phẩm mà giống như đoán già đoán non. Lâu lâu còn nghĩ chắc khi viết tác phẩm này ông cũng chả nghĩ được sâu như mình ngồi nghĩ đâu. Đúng là chỉ toàn chém gió với thầy dạy văn. Năm sau quyết tâm chả đặt cái mục tiêu quái nào nữa, đọc cho nhanh xong chả nhớ cái mô rồi lại phải đọc lại, kì công dễ sợ. À Ai có ý định đi du lịch Tây Tạng có lẽ nên đọc cuốn này, thực tế và chân thực hơn đọc báo mạng hót như sáo mà chả biết thực tế có vậy chăng. Sự huyền bí, hoang sơ và gần gũi với tự nhiên biến Tây Tạng trở thành một vùng đất gây hứng thú và tò mò cho tôi. Cuốn sách này thú vị ở những chỗ viết về tập tục và văn hóa của người Tây Tạng, dù rằng không được hệ thống và phong phú lắm vì nó vốn không phải dạng sách phổ biến kiến thức. Và mặc dù tái hiện lại những sự kiện có thật trong cuộc đời của một người phụ nữ có thật, chuyến hành trình của cô ấy vẫn có những nét kỳ ảo khó tin khiến đôi khi tôi phải tự nhủ lần nữa rằng cái mình đang đọc là những chuyện ĐÃ diễn ra ở một thời điểm nào đó trong dòng thời gian, chứ không phải sản phẩm được đẽo gọt bởi trí tưởng tượng; và thỉnh thoảng những chuyện khó tin lại là chuyện thường, nhất là ở giữa vùng đất linh như Tibet. Bản thân câu chuyện của Thư Văn thì phải nói thật là tôi thấy chưa "chấn động và ám ảnh" như Sunday Times bắc loa gào lên với làng xóm. Cuốn sách giống một bản báo cáo tóm tắt sự kiện có gia giảm một chút hương vị chủ quan hơn là một cuộc kể chuyện đầy cảm xúc. Nhưng dĩ nhiên 2 ngày không trọn vẹn là không đủ để Hân Nhiên khai thác câu chuyện đầy đặn và sâu hơn, nên tôi không phàn nàn gì cả. Thêm nữa phải cân bằng giữa yếu tố thêm thắt và yếu tố sự thật để không làm mất đi tính khách quan vốn có của một câu chuyện quá thiếu chi tiết là một chuyện khó. Trên thực tế tôi đã không dưới vài lần tự hỏi những dòng chữ này là từ chính miệng Thư Văn mà ra hay là sự chấp cánh của người cầm bút chuyên nghiệp Hân Nhiên. Love me for a reason! Sam: Tidak tahu. Haruskah ada alasan untuk mencintaimu? Yuli: Ya, setidaknya aku tahu alasan kamu mencintai aku. Yuli: Ya, dan aku ingin mendengarnya. Mereka lalu berpacaran. Sebulan kemudian, Yu Love me for a reason! Mereka lalu berpacaran. Sebulan kemudian, Yuli mengalami kecelakaan fatal. Wajahnya hancur, matanya buta, sebagian gigi depannya rontok. Dan, dia cacat. Sam datang menjenguk di rumah sakit..
Yuli: (Terbata-bata) Apa kamu masih mencintai aku? Sam: Aku tidak tahu. Kamu sudah kehilangan kecantikanmu. Kamu tidak bisa melihat aku lagi. Kamu bahkan kehilangan senyum manismu. Masih adakah alasan bagiku untuk mencintaimu? Love me for no reason! Shu Wen dan Kejun berkenalan saat mahasiswa, hingga akhirnya memutuskan untuk menikah. Belum genap seratus hari mereka menikah, Kejun dinyatakan tewas saat menjalankan tugasnya sebagai dokter untuk Tentara Pembebasan Rakyat di Tibet, pad usianya yang ke 29 tahun. Bahkan, berita kematian Kamerad Wang Kejun sudah disahkan oleh Dinas Militer Suzhou pada tanggal 24 Maret 1958. Tapi, Shu Wen tidak mempercayai berita itu begitu saja. Dia merasa kalau Kejun hanya tersesat dan menghilang di Tibet. Lalu, dia memutuskan untuk mencari Kejun, suaminya, cinta sejatinya. 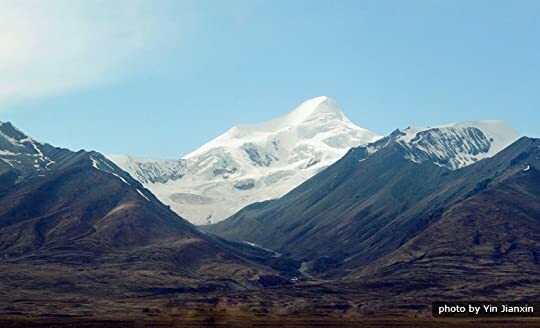 Dia menghabiskan waktu berpuluh-puluh tahun berkelana dari Cina sampai ke Tibet hanya untuk mencari suaminya. Dia kehilangan wujud suaminya, tapi tidak kehilangan cintanya. Kisah cinta berlatar konflik antara Cina dan Tibet. Garing?? Tentu tidak!! Pencarian Shu Wen malah berubah menjadi sebuah petualangan hidup yang menakjubkan. Yang pertama kali membuat saya tertarik untuk membeli buku ini adalah desain sampulnya yang menarik. Sederhana tapi kelihatan mewah. Ukurannya kecil dan lumayan tipis (286 halaman). Tanpa bawa tas, buku ini muat di kantong celana cargo saya dan menjadi bahan bacaan ketika terdampar di suatu tempat. Sky Burial atau Pemakaman langit adalah sebuah ritual yang membuat saya merasa ngilu saat membaca dan membayangkannya. Semoga saat Anda membaca tulisan ini tidak ikut-ikutan ngilu seperti yang juga saya rasakan saat mengetik tulisan ini. Yang membuat ngilu adalah jasad orang meninggal itu dipotong-potong dan tulang-belulangnya diremukkan dulu, sebelum disajikan menjadi santapan para burung pemakan bangkai tersebut. Bukan bermaksud mencela, tapi awalnya saya (masih) berpikir ritual ini cukup sadis. Baiklah, itu jasad, tapi tetap saja. Dan saya sadar, setiap kelompok mempunyai ritual yang berbeda-beda dalam melakukan suatu hal, jadi harus dihargai. (Tapi, saya tidak mau menyaksikan ritual pemakaman langit TITIK-TANDA SERU TIGA). Terus, apa hubungannya kisah cinta Shu Wend an Kejun dengan Pemakaman Langit? Ada dalam bukunya, jadi cari tahu sendiri ya..
Sebenarnya, kisah dalam buku ini merupakan cerita yang belum selesai. Karena Xinran, penulis buku ini, kehilangan Shu Wen sebelum menceritakan sekuruh kisah hidupnya. Shu Wen menghilang saat Xinran masih memiliki segudang pertanyaan mengenai kisah hidup Shu Wen. Sampai-sampai dia harus menitipkan sebuah surat untuk Shu Wen dalam buku ini. I'm not sure how this is an epic love story. Shu Wen initially sets out to Tibet to find her husband (who she thinks is still alive despite a formal communication that he's dead) and bring him back home. She's conveniently placed in his unit, but that doesn't help, since no one remains who might have remembered the husband. She then conveniently saves the life of a Tibetan high society lady, who has a fascination with China. She even calls China her dream land and is basically setting out to mov I'm not sure how this is an epic love story. Shu Wen initially sets out to Tibet to find her husband (who she thinks is still alive despite a formal communication that he's dead) and bring him back home. She's conveniently placed in his unit, but that doesn't help, since no one remains who might have remembered the husband. She then conveniently saves the life of a Tibetan high society lady, who has a fascination with China. She even calls China her dream land and is basically setting out to move to China with a man she loves (who happened to be a servant in her household). She calls this guy Tianenmen, after the square in Beijing. But now she's separated from him, and must find him. The ladies get separated from the rest of the convoy, and get rescued by a Tibetan nomadic family, who shelter both Zhuoma (I've butchered her name) & Wen. It seems like the family is very poor, and has several mouths to feed. But if there is ever a concern about two extra mouths to feed, one of them a Chinese, it isn't ever voiced. Twenty years pass. Let me bold and repeat that, twenty years pass. Zhuoma and Wen are now separated as well - Zhuoma having been captured and kidnapped by persons unknown. After twenty years, the Tibetan family decides to take Wen to find her husband, and in the process they find both Tianenmen and Zhuoma. Whatever trauma Zhuoma has faced, isn't spoken of. Randomly enough, there is a legend of a good Chinese doctor being sung - one who offered to be vulture meat because he angered them by disrupting a sky burial. He is mentioned as the one who stopped Chinese-Tibetan tensions in the area, but from what I read he was the one who started the tension in the first place. So, he's dead, which was the communication that Wen had received and hadn't believed. Anyway, they all move off to Lhasa and then onwards to China, where Wen met Xinran and told her the story. I'm unfortunately not moved. Too many issues were skirted around, the politics of both China and Tibet, what happened with Zhuoma in China, etc. The family she stays with for twenty years might as well have been cardboard, for all the character they showed. Everyone Wen met are nice, which is unbelievable when Tibetans were in the process of being "liberated". Since the passage of years is so great where Wen just wrung her hands and did nothing (I mean, she wouldn't have done anything if the family she was with didn't offer to take her wherever), the love story was un-epic as well. I do credit the book for having been largely sympathetic to Tibetan religious sensibilities. I just noticed that it's marked a non-fiction here on Goodreads, although I'm leaning more towards it being fictional, since there doesn't seem to be a record of Shu Wen. Also, if it is truly non-fiction, those gaps mentioned above are even more inexcusable. Eh. Whatever. It wasn't something I expected much of. "Trên vùng cao nguyên, bầu trời có thể thay đổi, con người ta có thể thay đổi, bò cừu, hoa cỏ đều có thể thay đổi, song những ngọn núi thiêng thì không. Nếu các vị để thông điệp lại trên mười ba ngọn núi thiêng, những ai biết về Zhuoma sẽ tìm thấy chúng. Sự sống khởi nguồn ở tự nhiên và quay về với tự nhiên. " Cuốn sách kỳ lạ về một đất nước kỳ lạ và những con người kỳ lạ. Dù cho đã thoáng gặp qua Tây Tạng trong vài cuốn sách viết về Phật giáo và du ký nhưng đọc Thiên táng vẫn làm mình kinh ngạc "Trên vùng cao nguyên, bầu trời có thể thay đổi, con người ta có thể thay đổi, bò cừu, hoa cỏ đều có thể thay đổi, song những ngọn núi thiêng thì không. Nếu các vị để thông điệp lại trên mười ba ngọn núi thiêng, những ai biết về Zhuoma sẽ tìm thấy chúng. Sự sống khởi nguồn ở tự nhiên và quay về với tự nhiên. " Và không chỉ về người Tây Tạng và đất Tây Tạng, cuốn sách này còn làm mình cảm động và, một lần nữa, kinh ngạc về Thư Văn và Khả Quân cùng tình yêu đẹp đẽ của họ, tuy thời gian bên nhau ngắn ngủi nhưng tình yêu ấy đã kéo dài đến trọn đời của cả hai. Và cả lòng dũng cảm của hai người: Thư Văn dũng cảm lên đường tìm kiếm câu trả lời cho cái chết của chồng, Khả Quân dũng cảm đứng ra nhận trách nhiệm cho dù biết kết cục là cái chết. Đọc đến đoạn Khả Quân đến trước những người Tây Tạng để "nộp mạng" mình đã nghẹn đắng cả họng, và khi Thư Văn quay về Bắc Kinh sau bao năm đằng đẵng trên cao nguyên, như một kẻ hoàn toàn xa lạ trên quê hương mình, thực sự xót xa vô cùng. Sky Burial is an extraordinary story about a Chinese woman, Shu Wen, who travels to Tibet to find her husband. Her story begins in 1958, just after she and her husband are married. He gets sent into Tibet with the People's Liberation Army. Shortly after, she receives news of his death. Unwilling to believe the news, she travels to Tibet to find him. Motivated by her deep love for him, she wanders the Tibetan plateau for thirty years which finally leads her to discover the exact nature of her hus Sky Burial is an extraordinary story about a Chinese woman, Shu Wen, who travels to Tibet to find her husband. Her story begins in 1958, just after she and her husband are married. He gets sent into Tibet with the People's Liberation Army. Shortly after, she receives news of his death. Unwilling to believe the news, she travels to Tibet to find him. Motivated by her deep love for him, she wanders the Tibetan plateau for thirty years which finally leads her to discover the exact nature of her husband's death. The word 'extraordinary' is used a lot to describe stories that are 'outside of the ordinary'. But this story is so incredibly extraordinary, that I would describe it as extra-extraordinary, that is, 'outside of or beyond the extraordinary'. This tale, told simply by Xinran, swiftly becoming one of my favourite Chinese storytellers, is going to haunt me for a very long time. As I write this review, I can still feel it lingering, tickling me from the inside out. It's an unbelievable story of determination, courage and above all, love. I don't want to say too much because this is a book which must be experienced to believe. It infiltrates your entire being - you feel what Shu Wen is feeling, see what she is seeing. The experience is transformative. I would like to dedicate this review to Peter who I met at the Federation Square Book Market, Melbourne. On my recent sojourn in Melbourne, I was browsing through Peter's stall, when we struck up an interesting conversation about Chinese books and stories and bonded over our love of books. He had a neat collection of books and authors which I had read or wanted to read. Sky Burial was in my hand throughout this whole conversation. By the end of our conversation, I couldn't not walk away with something. So thank you Peter for the exceptional customer service and for leading me to this book which will stay with me and become part of my soul. "Every book, every volume you see here, has a soul. The soul of the person who wrote it, and of those who read it, and lived and dreamed with it. Every time a book changes hands, every time someone runs his eyes down its pages, its spirit grows and strengthens." - Carlos Ruiz Zafon (quote found on the bookmark that Peter gave me). Wow. This story was incredible. The love and devotion Shu Wen felt for her husband must have been amazing, because she searched for him for thirty years when he went missing while serving his country. I was incredibly moved emotionally by such sheer devotion and dedication to finding her true love once he'd been lost to her. This was a very emotional read for me, and I was fascinated by the twists and turns of Wen's journey. The author, Xinran, is a very talented writer. Though I am unable to rea Wow. This story was incredible. The love and devotion Shu Wen felt for her husband must have been amazing, because she searched for him for thirty years when he went missing while serving his country. I was incredibly moved emotionally by such sheer devotion and dedication to finding her true love once he'd been lost to her. This was a very emotional read for me, and I was fascinated by the twists and turns of Wen's journey. The author, Xinran, is a very talented writer. Though I am unable to read the original Chinese version of this book, her voice as an author came through very well in the English translation. She has a beautiful flair for storytelling, so I can see why her book entitled The Good Women of China became an internationally best-selling book. The Tibetan and Chinese cultures and religions were featured in this book. They are vastly different from my own culture and faith, but I understand they are a part of Shu Wen's story. They were important to her, and for that reason, I am glad they were shared here (though my own beliefs do not waver for having read about hers). The entirety of her story should be told in the account of her life. I pray she found peace in her life where Sky Burial left off. There are a few things that might be difficult for some readers to stomach, particularly dealing with the sky burial process. Caution is advised, especially if you are squeamish. I read this book specifically to fit a challenge task which was to read a book set in a country I had never before read about. And I certainly picked the right book for the task as I previously knew little about Tibet but through this book I learned of the land and the harsh climate, the people and their culture, how and why it is so isolated and is so different from other places in that part of the world. I also learned of the story told to this journalist of a beautiful thirty year journey of I read this book specifically to fit a challenge task which was to read a book set in a country I had never before read about. And I certainly picked the right book for the task as I previously knew little about Tibet but through this book I learned of the land and the harsh climate, the people and their culture, how and why it is so isolated and is so different from other places in that part of the world. Wen is searching for her husband Kejun in Tibet after she discovers he has gone missing in action. Her life in Tibet is extraordinary. She leaves China as a young Chinese woman and returns an old Tibetan lady. I enjoyed this book. It was a very easy read, written simply but told a beautiful story. I found it hard to believe that everything I was reading was true. It taught me about the Tibetan culture which was a change as I normally read books about the Chinese culture. This is a love story, fa Wen is searching for her husband Kejun in Tibet after she discovers he has gone missing in action. Her life in Tibet is extraordinary. She leaves China as a young Chinese woman and returns an old Tibetan lady. A short retelling of a story told to the author. Perhaps as expected, the story is told from a Chinese viewpoint, which isn't so common on books about Tibet. As such, the Tibetan aggressors are described as savage and brutal, the Chinese as the liberators of Tibet to teach them how to grow better crops, treat their illnesses. As I say, not unexpected, and not laid on too thickly, but it is certainly a theme in the book. Nice story, with a few minor stories within the story! Dahulu kala, di Tibet ada sebuah tradisi pemakaman yang sangat sakral. Orang-orang di sana menyebutnya pemakaman langit. Ritualnya dimulai dengan memandikan jenazah, kemudian mencukur habis seluruh rambut dan bulu di sekujur tubuh sampai bersih. Setelah dibalut kain putih, jenazah diletakkan dalam posisi duduk dengan kepala menunduk di atas lutut. Pada hari yang dianggap baik, jenazah digotong ke altar yang sudah disiapkan. Para lama dan orang-orang suci diundang untuk membacakan naskah-naskah s Dahulu kala, di Tibet ada sebuah tradisi pemakaman yang sangat sakral. Orang-orang di sana menyebutnya pemakaman langit. Ritualnya dimulai dengan memandikan jenazah, kemudian mencukur habis seluruh rambut dan bulu di sekujur tubuh sampai bersih. Setelah dibalut kain putih, jenazah diletakkan dalam posisi duduk dengan kepala menunduk di atas lutut. Pada hari yang dianggap baik, jenazah digotong ke altar yang sudah disiapkan. Para lama dan orang-orang suci diundang untuk membacakan naskah-naskah suci sebagai upaya pembebasan dosa bagi roh si mati. Upacara ini biasanya dipimpin oleh seorang yang disebut “guru” pemakaman langit. Pada hari itu ia akan meniup terompet dari tanduk, menyulut api murbei untuk mengundang kawanan burung nasar, memotong-motong jenazah, serta meremukkan tulang belulangnya dengan ketentuan yang sudah ditetapkan. Semua harus dilakukan dengan benar, sebab jika salah mereka percaya iblis-iblis akan datang merebut arwah si mati. Supaya seluruh jasad si mati habis dimangsa burung-burung nasar itu berikut tulang-tulangnya, dipakailah mentega yak sebagai pencampurnya. Agaknya kandungan zat dalam mentega yak ini disukai burung-burung bangkai tersebut. Begitulah, tradisi tersebut bisa jadi masih berlangsung hingga kini di Negeri Atap Langit itu. Kira-kira setengah abad yang lampau, terjadi sebuah peristiwa yang berhubungan dengan tradisi pemakaman langit ini. Sang jenazah adalah seorang dokter warga negara Cina yang mati dalam misi pembebasan rakyat di Tibet. Kejun, demikian nama dokter itu, baru saja menikahi Shu Wen sebelum berangkat ke Tibet.Pasangan pengantin baru itu terpaksa berpisah demi tugas negara. Hanya tak kurang dari seratus hari kemudian, Shu Wen menerima sepucuk surat dari Dinas Militer Suzhou yang memeberitahukan, bahwa Kejun telah tewas dalam sebuah insiden di Tibet bagian Timur. Kabar tersebut sangat mengagetkan Shu Wen. Ia tak percaya suaminya yang tangguh dan senantiasa memancarkan gairah hidup itu telah meninggalkan dia selamanya. Lagi pula seorang dokter tentara tak akan terjun langsung ke arena pertempuran. Insiden apakah yang telah menyebabkan suaminya tercinta menemui ajal? Staf dinas militer yang seharusnya bertanggungjawab tak dapat memberikan keterangan memuaskan. Aku tak bisa meninggalkannya sendirian di Tibet, demikian Wen bergumam sedih dalam hati untuk sang suami tercinta yang tak jelas nasibnya. Maka, berbekal rasa cintanya, Wen bertekad menemukan sendiri sang kekasih hati di Tibet yang ganas dan “primitif” itu. Wen sungguh tak mengira ini akan jadi perjalanan paling panjang yang menghabiskan separuh sisa umurnya. Kisah pencarian Wen inilah yang dituturkan Xinran, penulis Cina yang sebelumnya bekerja sebagai wartawan dan penyiar radio di Nanjing dan sejak 1997mukim di London menekuni karier sebagai penulis. Pada 1994, Xinran bertemu Shu Wen yang baru kembali dari Tibet. Kepada Xinran, Wen membagi ceritanya. Untuk lebih menyelami dan menghayati perjalanan Shu Wen, setahun kemudian (1995), Xinran melakukan napak tilas, mengikuti “jalur” Wen. Sepuluh tahun berikutnya, terbitlah novel ini. Membaca novel “sederhana” ini, saya nyaris tidak percaya pada apa yang telah dialami dan dilakukan Wen demi sebuah keyakinan dan cinta. Bukan keganasan dan keliaran alam Tibet beserta tradisi penduduknya yang memukau saya benar, tetapi kekerasan tekad seorang perempuan yang membawa sekeping cinta di hatinya hingga mampu menaklukkan segala rintangan itulah yang memesona saya. Seperti Xinran, saya pun tergetar oleh kisah cinta Wen ini. Tanpa gembar-gembor, Wen telah membuktikan bahwa kekuatan cinta itu ada dan sangatlah besar. Tadinya saya kira hanya kasih seorang ibu terhadap anaknyalah yang sanggup melakukan apa yang telah diperbuat Wen. This book was a let-down. For starters, the format isn't as polished as it could have been. It's written like it is non-fiction, but it's in the Library of Congress as fiction, and many reviewers tend to think the book is "based on a true story," if not the true story indeed. I don't like how the Tibetan people are portrayed. Either they are ignorant nomads who don't even realize that their country is under attack by Chinese forces, or they're brutal murderers hell-bent on killing every Chinese th This book was a let-down. I don't like how the Tibetan people are portrayed. Either they are ignorant nomads who don't even realize that their country is under attack by Chinese forces, or they're brutal murderers hell-bent on killing every Chinese they see. There is no middle ground and that is imposterous. Additionally, Xinran desperately tries to portray Shu Wen as this incredible, brave woman, and Wen's story of love comes off as trite and sappy, and her appropriation of the Tibetan culture makes me roll my eyes. It is mentioned that Wen becomes a "devout Buddhist" but Xinran does nothing but tell us this; she does not show any level of understanding of Tibetan Buddhism other than going around in a chuba saying "om mani padme hum." The English translation isn't bad, but I would recommend reading it in the original Chinese. As an English reader, I felt there was a lot missing from the text, things that probably had to be omitted because they would have fallen flat for an English-speaking audience. Tibet is somehow had some strange attachment for me. This book told some insights of Tibet from a Chinese woman Shu Wen, who then become a Tibetian throughout the moments that she had lived. It's basically a tale of love, a tale about life struggle and survival. The ways of surviving that cannot be imagine ever before. Surviving in Tibet can be very hard for a young women who eventually just married for a hundred days in the 1958 of China. Her husband was lost in Tibet, therefore she come to Tib Tibet is somehow had some strange attachment for me. This book told some insights of Tibet from a Chinese woman Shu Wen, who then become a Tibetian throughout the moments that she had lived. It's basically a tale of love, a tale about life struggle and survival. The ways of surviving that cannot be imagine ever before. Surviving in Tibet can be very hard for a young women who eventually just married for a hundred days in the 1958 of China. Her husband was lost in Tibet, therefore she come to Tibet in order to find him. But what happen next was a nearly 20 years of waiting and hoping all the time, and yes SURVIVING. Câu chuyện kể về thời kỳ xảy ra giao tranh giữa Trung Quốc và Tây Tạng, nhưng không đề cập quá nhiều về vấn đề này mà đương như chỉ là cái phông để câu chuyện thực sự diễn ra. Truyện mở đầu bằng việc tác giả đến gặp gỡ một người phụ nữ Tây Tạng kỳ lạ, và từ đó câu chuyện được kể lại dưới cái nhìn của người phụ nữ đó. Xuyên suốt câu chuyện, tôi thấy được tình yêu đẹp và thuỷ chung của một người vợ, tình bạn cảm động giữa hai người phụ nữ xa lạ, tình thân gia đình ấm áp, tình người nồng ấm tại mảnh Câu chuyện kể về thời kỳ xảy ra giao tranh giữa Trung Quốc và Tây Tạng, nhưng không đề cập quá nhiều về vấn đề này mà đương như chỉ là cái phông để câu chuyện thực sự diễn ra. Truyện mở đầu bằng việc tác giả đến gặp gỡ một người phụ nữ Tây Tạng kỳ lạ, và từ đó câu chuyện được kể lại dưới cái nhìn của người phụ nữ đó. Xuyên suốt câu chuyện, tôi thấy được tình yêu đẹp và thuỷ chung của một người vợ, tình bạn cảm động giữa hai người phụ nữ xa lạ, tình thân gia đình ấm áp, tình người nồng ấm tại mảnh đất Tây Tạng đầy khắc nghiệt. Dù câu chuyện còn chưa thật sự kết thúc khi đọc đến trang cuối cùng nhưng cái kết tạm đó vẫn khiến người ta buồn và tự đặt ra bao câu hỏi. Và điều đáng buồn nhất trong câu chuyện lại chính là sự thật : đôi khi lòng tốt không cũng là chưa đủ. Có nhiều điều trong cuốn sách khiến tôi ấn tượng : phong tục tập quán của người Mông Cổ, một tình yêu vĩnh cửu, sự dũng cảm và tín ngưỡng. Around the World = Tibet. One of the most beautiful books I've ever read. The writing is simple and sparse, drawing you completely into the story of Shu Wen and her quest to find what became of her husband, Kejun. For such a slim book, the scale of the story is epic, fitting the vastness of the landscape through which Wen travels and her gradual transformation from an outsider, a Chinese observing Tibetan culture, to becoming fully absorbed into the life through her everyday survival. As an insigh Around the World = Tibet. As an insight into the nomadic way of life in mid-century Tibet, it is fascinating and compelling, painting an intimate portrait of their traditions, spirituality, and the minutiae of day-to-day living. 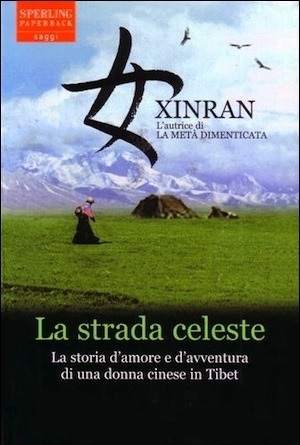 Xinran's understated descriptions (perhaps stemming from her background as a journalist, rather than a novelist) allow the nature of Tibet to be revealed alongside the slowly unfolding story, and you realise that it isn't just the love story of Wen and Kejun, but also a love story for Tibet, both for Wen and for the reader. Xue Xinran, who usually writes as simply "Xinran", was a radio broadcaster in China before moving to Great Britain and beginning to publish books. She currently writes as a columnist.